The most full-featured Internet power tool on the market, Opera includes tabbed browsing, pop-up blocking, integrated searches. And because we know that our users have different needs, you can customize the look and content of your Opera browser with a few clicks of the mouse. · The Discover feature gives you top-quality news and entertainment from around the globe. Enjoy new content from a variety of categories and read articles from your region, in your language. · Opera's interface combines precision and quality. Integrating modern style with powerful features, Opera gives you the freedom to truly open the web and explore. · Opera has one intuitive, powerful location for searching and navigating the web. Search using multiple providers and view site suggestions as you type. · Off-Road mode compresses pages for faster, all-conditions browsing. It helps you stay online when your connection slows down. · An enhanced Speed Dial groups your top-visited sites directly on a custom start page. Quickly search and access your favorite content with refined searching and grouping options. · Found something you'll want to come back to? The Stash feature captures a page with one easy click and organizes your pages into a simple, sophisticated list. Scan your Stash in a resizable page preview or search what you've saved, by keywords. 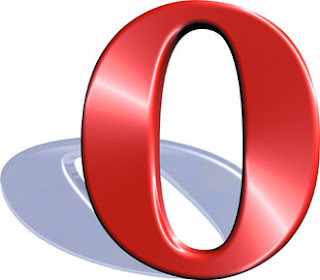 · Opera 16 includes updates to the latest Chromium release, version 29. · Opera 16 allows you to securely store your addresses, phone numbers, email addresses and credit cards for use online. Commonly used forms can be filled out automatically and save you time when shopping online or signing up for mailing lists. · Opera 16 lets you choose to share your location information with websites that request it. Location sharing can help websites provide you with localized services, such as coupons to local businesses or movie times for your area.